“She doesn’t suffer fools gladly,” my friend and colleague Dana warned me about Gully Wells, one of Condé Nast Traveler’s most celebrated editors, and the author of the recently released must-read memoir The House in France. Much more on that in a moment. But first, it was the year 2000, and I had been at the magazine for a few years and was tasked with getting some of the most revered journalists to participate in a PBS television series. Gully was on top of the list, but everything about her intimidated me. Her Oxford education. Her British glam assisted by good friend and Vogue editrix Anna Wintour. Her spectacular prose with remarkable pieces on the best Iberian ham, up-and-coming Chilean wines, and the Roman history of Provence. The last article was the one the TV producers and I wanted to make into a television segment. I had no idea how Gully would react to the idea—I was sure she disdained television, and most likely, me. At that time, the most interaction I’d had with Gully was in the back of a Lincoln towncar. Condé Nast doled out special vouchers for the company car service and the magazine’s managing editor was notoriously stingy in producing them. 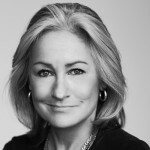 But as a PR person, I was given a steady supply, expected to entertain clients and other journalists in style and attend a steady stream of high-profile events. Gully had a way of sauntering down the hallway towards my office just as I readied myself for a downtown soiree. “Perhaps you could drop me home on the way,” she would ask with a charming toss of her head. Even if my event were miles in the other direction, I never said “no.” Gully’s irreverent take on current events, and office characters, in the back of those livery cabs never failed to deliver a chuckle, always much more amusing than the evening ahead of me. “You’ll pay for my plane ticket to France? Just tell me what you’d like me to do young man,” Gully quipped without hesitation when I approached her with the idea to be a co-star of the Provence episode of Condé Nast Traveler’s Insider’s Guide. It quickly became apparent that not only did Gully have a deep knowledge of the South of France, she had a keen eye for what made good television. In short order, she had the cameras trailing her through the local markets in Nice as glamorous Gully handled the ugliest fish I had ever seen in pursuit of concocting authentic bouillabaisse. The next she was camping it up in Arles pointing to phallic Roman ruins on the balcony of the Hotel Nord Pinus, laughing at the sexual connotations of the property’s name. 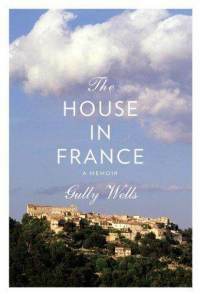 None of this would have been such a surprise had I clairvoyantly peeked inside Gully’s gift of a memoir The House in France. 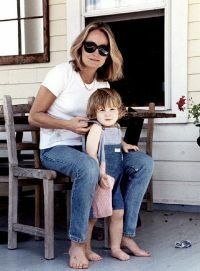 In tight, humorous and insightful prose for which Gully has become so beloved as a travel writer, she takes fans inside her upbringing as the daughter of quirky British and American intellectuals. In addition to her indomitable expat American mother and philandering stepfather, a famous British philosopher—both wind stars on UK chat shows (a lead-in to Gully’s own natural presence on screen? ), there’s a steady stream of other famous faces in and out of her life. An early encounter with Levi-Strauss. A love affair with Martin Amis. Enduring friendships with Christopher Hitchens and Anna Wintour. And through it all, like an expert seamstress, Gully weaves it all around the central motif—her mother’s ramshackle of a house in France. But like some of my other favorite “celebrity” memoirs—Patti Smith’s riveting Just Kids comes to mind—The House in France goes beyond relying on stories of the famous, and instead offers us insight into the challenges and worries of an artist. Gully helps us understand who she is today by delving honestly, and lovingly, into the quirkiness and foibles of her mother who has a habit of lending a helping hand to a cast of down-on-their-luck characters, from animals to humans. Gully herself reveals a terrific anecdote of inviting a bedraggled drunk German lady she met in a bar in the immediate aftermath of 9/11 to her home the next day for a private birthday party. Her husband Peter, a BBC documentary producer who was enlisted to help me on that TV show, was appropriately aghast at the woman’s appalling behavior. But Gully shrugs it off. Although she doesn’t draw a direct correlation, it seems evident to the reader that Gully’s behavior is an homage to her dying mother. But you don’t have to know Gully to fall under the book’s spell. Ultimately, her tale is of a young woman trying to make her way in the world with love, compassion and confidence. One of my favorite moments is when Gully wonders whether she has the talent to become a travel writer herself, not just an editor of famous scribes at Condé Nast Traveler. With her boss’ encouragement, she decides to write first about what she knows best—the area around The House in France. How lucky for all of us. Note: Unfortunately, I can’t seem to find a copy of Gully’s Provence episode from the TV show I produced. But you can get a sense of Gully’s style and humor watching a clip from the show on Northern Spain. This entry was posted in Featured, Tex And The City. Bookmark the permalink.